Super Savings! Up to 32% off on Seat & Roller Bar Covers at Get Cheap Health Insurance. Top brands include NOVA Medical Products. & NOVA Medical Products. Hurry! Limited time offers. Offers valid only while supplies last. 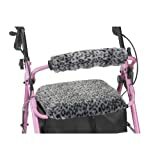 View more products in Walkers, Rollators & Accessories.